Sunny skies. High around 80F. Winds SW at 5 to 10 mph..
Eagle Rock — Five Eagle Rock restaurants along Colorado Boulevard were burglarized early Saturday morning, police said. Alarms alerted police of the break-ins that were believed to have occurred between 3 and 6 a.m. Burglars pried open doors and smashed open windows during the 3-hour crime spree along Eagle Rock’s main drag. At the Eagle Rock Italian Bakery, owner Nick Cafarchia, who has been at the location since 1988, said the thieves did little more than break a side window. 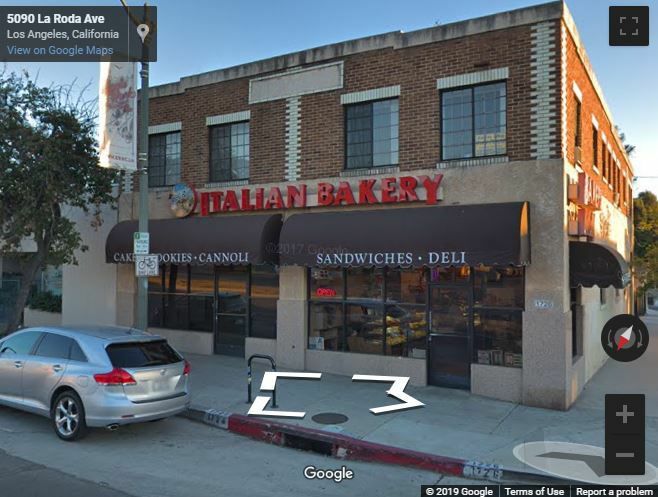 In addition to the Eagle Rock Italian Bakery, burglars also hit Piencone Pizzeria, Casa Bianca Pizza Pie, Meeas Hot Dog and Thai Coconut. It’s unclear how much or what was taken, as detectives are still investigating, said Sgt. James Zboravan. “It’s unknown if they were the same suspects,” he said. In the meantime, the LAPD, will be beefing up patrol along the area. Update: The Eagle Rock Chamber of Commerce, in an email to members, said the burglars — described as two men wearing hoodies — stole money from registers and safes. They were seen fleeing in an older model Honda.